IGT's Golden Goddess slot machine if one of their new breed of 3D games pretty common in land-based casinos. Reminiscent of Sirens and The Mighty Atlas, these Super Stacked games are all fairly low variance and aimed at balancing entertainment with modest wins. The free spins are triggerred by getting the relevant symbols on reels 2+3+4 and then you pick a symbol to become "Super Stacked" which essentially means all picture symbols transform into this character, increasing your chances of hitting a screeenful which you need to get a payday. Although I personally love the design on Golden Goddess and these new games - especially when you see the 3D effects employed on the land-based version - they do become a tad boring for me after a while but only because I prefer the thrill of the chase and higher volatility. Higher variance games like Book Of Ra and IGT's own perennially popular Pharaohs Fortune will be familiar to a lot of you I'm sure and you will get a lot more game-time out of the Golden Goddess slot than those two because the bad streaks don't last as long. But conversely, you will never get a hit like you can on Book Of Ra's feature or when you get a lot of spins and a decent multiplier on Pharaoh's Fortune. 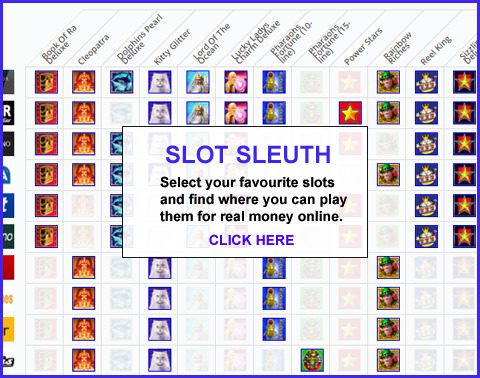 Golden Goddess will probably appeal more to fans of Wolf Run or Coyote Moon because it's one of the least streaky slot machines I feature here but if you decide to play it for real, don't expect to become an overnight millioniare, that's all I'll say!